Last year I started collecting succulent plants, and propagating their leaves in tiny pots. 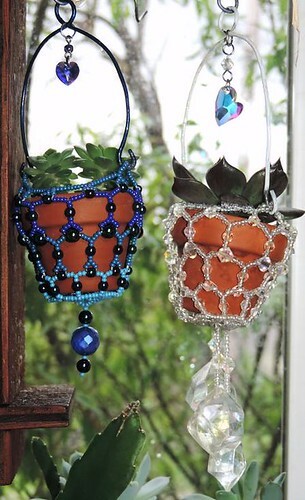 I had so many of them that I was starting to run out of window space, so I started beading hanging planters for them. I had a lot of fun coming up with different designs for these. I also have a few more that I haven't taken pictures of. The blue one is my favorite. 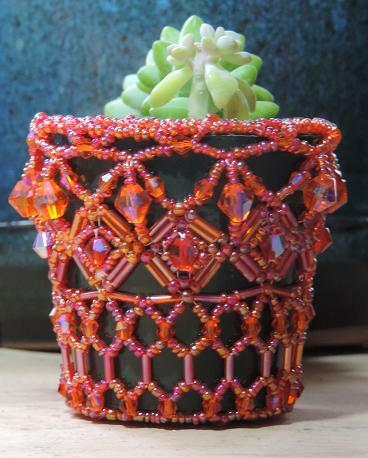 I like how well the color of the beads goes with the color of the terracotta pot. The crystal beads on the other pot really sparkle and cast a myriad of tiny rainbows . I didn't have any nice big crystals for the embellishment on the bottom so I drilled holes in plastic vase filler gems. I don't really care for the pink one , I made it to destash some beads I was never going to use otherwise. This is another favorite of mine, it is so sparkly in person. 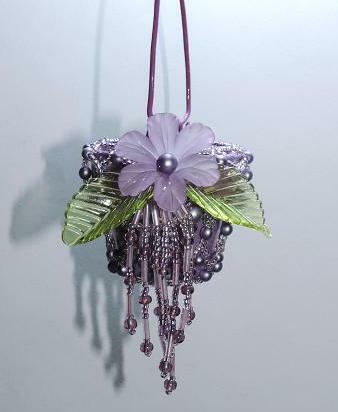 I want to make another in blue, green, or purple, since those colors would match the color of my plants a little better. How beautiful, and what a great idea! They are all so lovely. 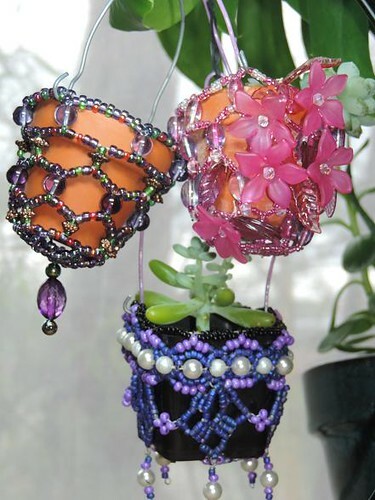 The pink one is great, those flower beads are very pretty. I really like succulents but haven't tried keeping any indoors, just in the front yard rock garden. The only plants that thrive under my care are pothos. Funny to think the cacti are safer outside enduring a Canadian winter than they are inside with me.